Project Dunant is expected to go live in late 2020. The project, called Dunant, will cross the Atlantic Ocean, from Virginia Beach in the US to the French Atlantic Coast. The project, handled together with TE SubCom, is expected to be complete in late 2020, when it will be available for customers. SubCom will design, manufacture and lay the cable for Dunant. 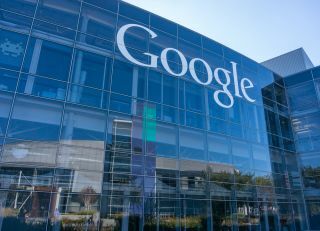 Google is saying it will help expand its network, and better serve both users and customers, offering well-provisioned, high-bandwidth, low-latency, highly secure cloud connections between the US and Europe. Being ‘one of the busiest routes on the internet’, this subsea cable is expected to also support the growth of Google Cloud. Announcing the project, Jayne Stowell, Strategic Negotiator, Global Infrastructure at Google, said there are multiple reasons why Google decided to build the cable privately. Those include performance and latency, capacity, as well as the guaranteed bandwidth for the lifetime of the cable. “The life of a cable can vary from 15 to 25 years, but as with many infrastructure projects, they sometimes continue to serve the route beyond their initial projected lifespan,” he said. Same as the project Curie, which came before, Dunant is named after an influential innovator, Henri Dunant.